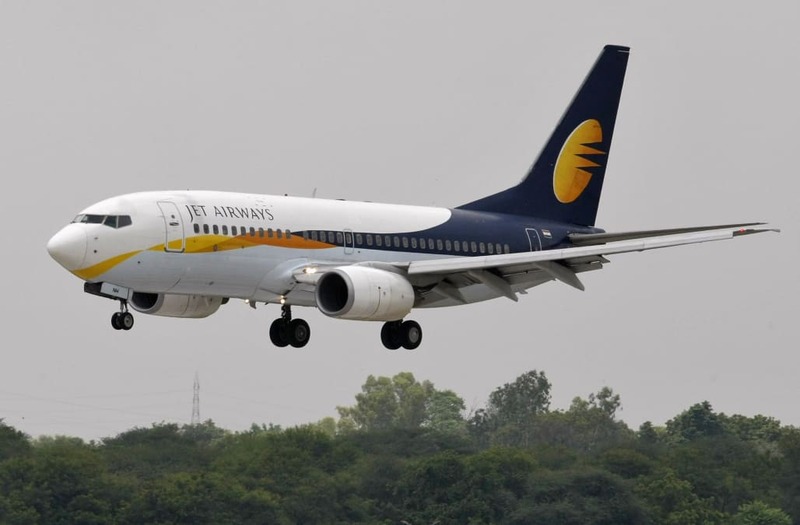 A Jet Airways plane had to make an emergency return to Mumbai's Chhatrapati Shivaji International Airport shortly after takeoff on Thursday when the plane's pilots allegedly failed to enable the cabin pressurization system. At least 30 passengers aboard Flight 9W 697 from Mumbai to Jaipur, India, experienced symptoms ranging from headaches to ear and nasal bleeding during the agonizing journey, which lasted 45 minutes in total, the Indian Express reported. Lalit Gupta, the joint director general of the Directorate General of CIvil Aviation (DGCA), confirmed the incident to the Times of India, stating that during the plane's ascent, the crew "forgot to select a switch" which would have stabilized the flight's cabin pressure. "As a result, oxygen masks got deployed," Gupta said. "As per initial info, out of 166 people on board, 30 passengers have nose bleeding, few have ear bleeding and some are complaining of headaches." Jet Airways also released a statement following the incident, saying it is "extending full cooperation to the DGCA for the ongoing investigation of the event." "The flight's cockpit crew has been taken off scheduled duties pending investigation," the airline added. Multiple passengers underwent medical treatment at the airport hospital, while five were transferred to Dr. Balabhai Nanavati Hospital in Mumbai. Dr. Rajendra Patankar, the hospital's Chief Operating Officer, said the patients were evaluated by an ENT doctor and that some suffered "barotrauma" of the ears due to change in air pressure." All patients have since been released from the hospital. Jet Airways said it "regrets the inconvenience" caused to its guests and offered to arrange alternate flights for all affected passengers.